Here we go again — the time change. This year, Daylight Savings Time will end on Sunday, November 4th just before 2 AM. Since it’s fall, we move our clocks back one hour (Spring ahead, Fall back). 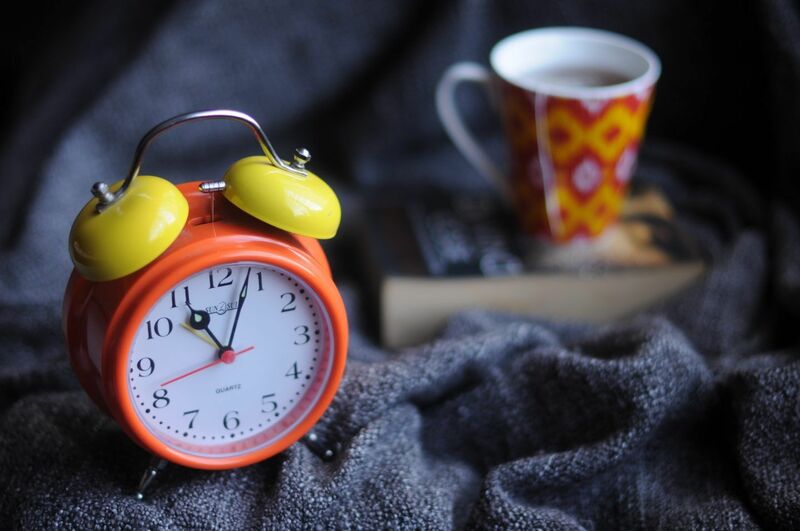 No one truly enjoys adjusting to a time change, but it is especially challenging for young children and children with special needs…and their parents. Since we are moving our clocks back by one hour, we get to enjoy one extra hour of sleep, right? (Are you laughing yet?) Chances are, if you are a parent of young ones, you won’t have an easy, dream-filled transition back to Standard Time. Remember that a time change doesn’t only throw off your child’s bedtime and wake-up time; it throws off his entire day. The time he does each and every thing on his daily schedule will feel different. For our kids with special needs, this can cause a lot of extra anxiety and upset. My #1 tip is to make the change in 15 minute increments wherever possible. I realize that if your kids are school-age, going to school 45 minutes early or late won’t work. But for the things you can control, like dinner time and bed time, try making the change 15 minutes at a time. It’s a lot easier to convince your child to stay in bed for 15 more minutes rather than an hour. A few days later, add 15 more minutes. The goal is do everything at the “new” time by the end of two weeks. Stick to your AM and PM routines as closely as possible. This is especially helpful for children on the Autism Spectrum. Most children thrive on a routine. Do the same things in the same order, just with the adjustment in time. Clear the calendar. This is not the time to be busy wagging your kids around to a million appointments, parties, and playdates. For about 2 weeks, try to take it easy and have plenty of free time at home. This will reduce stress. Eat well. Stick to your normal eating routine and serve really healthy and satisfying foods. Hunger and sugar crashes are only going to make you and your kids MORE cranky and less able to cope. Get outside as much as possible. Being outside at dawn and dusk can really help our natural body clocks adjust. Get plenty of exposure to natural light during the day. Exercise outside with your kids! Invest in light-blocking shades in your children’s bedrooms. Use them year-round. The darkness in the morning can help children stay asleep longer. Remember your positive reinforcement strategies during this transition time. Praise and reward the good behaviors! Do not give children caffeine to help with wakefulness or sleep-inducing medications at bedtime. These can be dangerous when not given under a doctor’s care. If your little one won’t sleep through the night, make a plan with your spouse or partner. Agree in advance on who takes which shifts. For example, my spouse agrees to be on call from 8 pm to 1 AM and I’ll go to bed early. Then after 1 AM, its my turn to get up if we have any early risers. This way we both get an uninterrupted stretch of sleep. Explain the details of the time change to a child who is able to understand. Let them know that it will get dark sooner, bed time will feel later, etc. A great way to do this is with a social story. You can create your own social stories at either: www.touchautism.com or www.connectability.ca. Add details from your child’s specific schedule. Lighten up on the rules, temporarily. A little extra grace and patience can go a long way during a trying time. Sometimes an extra cartoon is just what’s needed. You are not suffering alone! Almost all parents report having difficulty helping their kids adjust to the time change. Reach out to your Occupational Therapist or other professional if you are still struggling after 2 weeks. Hopefully, with a little love and understanding, everyone will be happy and healthy after the transition!